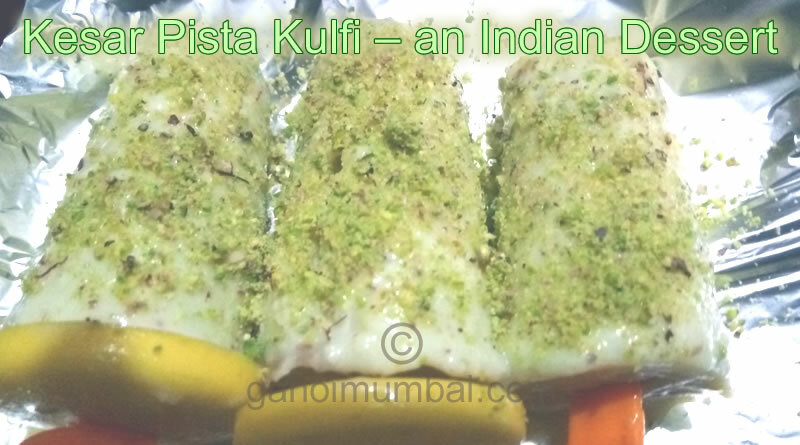 Kesar Pista Kulfi – a dessert and its instant recipe with video! We are providing here recipe and video for Kesar Pista Kulfi – a dessert in which you will found step by step method to make yummy mouthwatering Kesar Pista Kulfi. Kesar Pista Kulfi is really a delicious, sweet and mouthwatering instant making dessert or sweet to serve after lunch or dinner in various families of India and other countries. Kesar Pista Kulfi is generally summer dessert from Indian Cuisine but now enjoy it in day to day life abundantly. Kesar Pista Kulfi was initially originated in Mughal era. It is similar to ice-cream but it is little denser, thick and not light in texture. It is made by boiled thick sweetened milk by sugar. 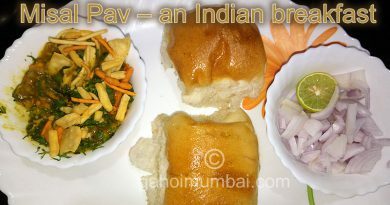 It has added flavor items like cardamom and saffron strands. It has garnished by chopped pistachios. We can use different molds to give shape to this mouthwatering dessert for attracting our family members specially kids. Previously, making kulfi was a very tedious work as it took a lot of time to get thicken rabri by simmering milk for hours. Now in modern era, it has become easy way to thicken milk by adding corn flour or arrow root powder and fresh cream in instant way. It is good for instant energy with feeling of freshness and fulfillment after dinner or lunch. Protein, Calcium and carbohydrates are the main source in Kulfi due to milk ingredients. Diabetics person should avoid it taking in excess because they contain a higher amount of saturated fat and sugar. Kulfi has less calories and sodium. 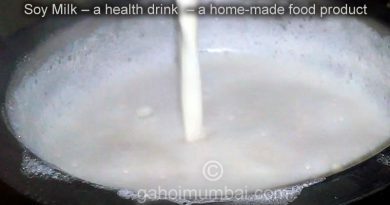 Firstly, boil the milk for 10 min on medium flame and stirring continuously to avoid burning. Now dissolve 1 tbsp corn flour in ½ cup milk and there should be no lumps. 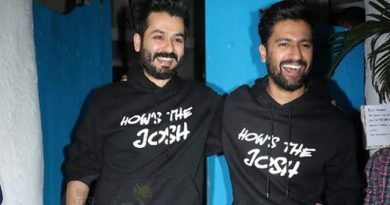 ← Alia doesn’t take ‘Alia Bhatt’ seriously but focused, says Vicky Kaushal! 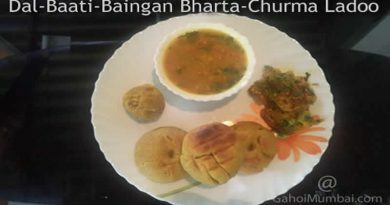 Dal Baati, Baingan Bharta, Churma Ladoo!